Prithvi and Sherlyn come to the hospital to get the baby aborted. Doctor asks Sherlyn about the truth of her baby, and asks her to tell if anyone is forcing her. She doubts on them. Prithvi gets angry and scolds the doctor asking her to do her duty and not to make him villain. Doctor calls ward boy and sends him out. Karan calls Preeta and asks her to come fast. Preeta slips and he holds her. Karan tells romantic lines praising her. Preeta says you couldn’t do flirting. She gets flirting with him. Karan is surprised to see her flirting. Preeta laughs and says I have made your flirting go in air. Karan gets thoughtful. Kritika’s fiancé Akshay informs to Kareena and Rakhi that he doesn’t want to marry Kritika. They get tensed and ask for a reason. Dadi asks if he had any fight with her. Kritika gets upset. He tells that he is breaking the alliance as he thinks he is not important to them. He asks them to take out mahurat for their marriage. Akshay tells Kritika that he is forgiving her for last chance and asks her to change. Kritika assures him. Ward boys take Prithvi out of the doctor’s room. 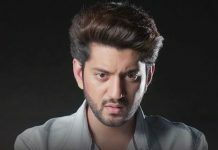 Prithvi says he will file defamation case against the doctor and hospital. He asks ward boys if they have brain or not to do as Doctor said. 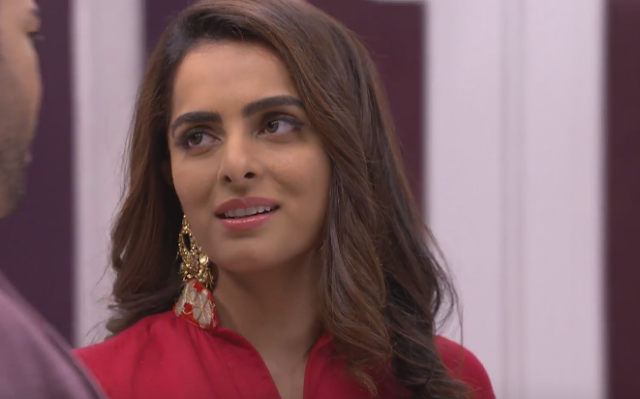 Sherlyn shouts at the Doctor for shouting at Prithvi. She asks her to trust her and get the baby aborted. Preeta and Karan come to the hospital. Her dupatta gets stuck in the car, Karan tries to free it and it gets torn. Preeta gets upset on him. They delay in reaching Sherlyn.